Sheet masks are having a bit of a thing right now, and for good reason. They're cleaner to use than a regular mask, easier to remove and the sheet helps the product to penetrate the skin for better results. So can it get any better? Step up, hydrogel! 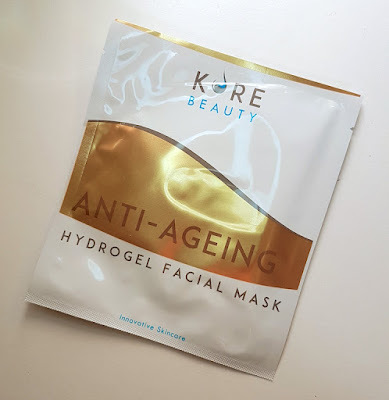 Korebeauty is a new brand set up by TK Gilbert with the aim to provide a mask that gives better results than a regular sheet mask by utilising the benefits of hydrogel. Instead of cotton or pulp that can slip off, the hydrogel mask does a better job at preventing any mask dripping or sliding off the face. In addition, it also allows the essence to penetrate the skin better due to the gel forming closer contact to the skin without any drying or irritation. It's not all about the hydrogel though. The hydrogel is what helps the mask to penetrate the skin, and we haven't yet taken a look at what is contained within it. So far the mask is available in an Anti-Ageing variety (which we will be talking about today), but soon there will also be Radiance and Vitality options available as well. 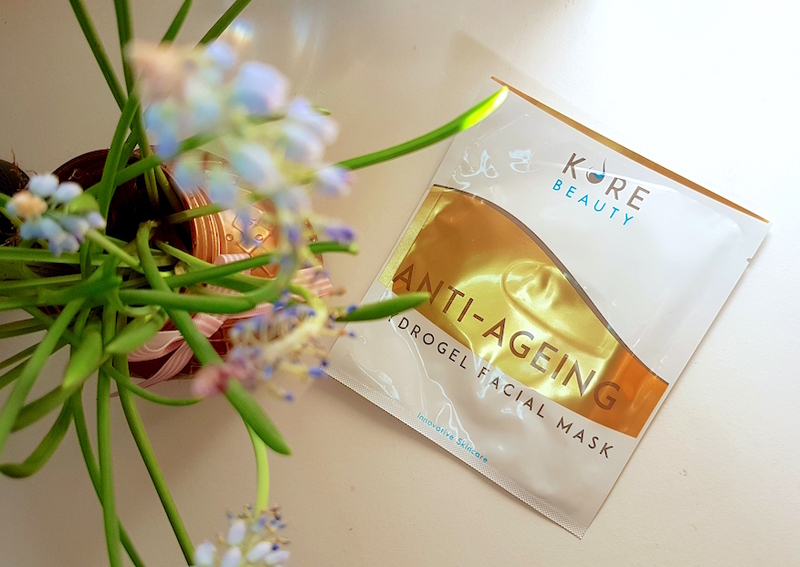 The Anti-Ageing mask contains a range of ingredients to help reduce the appearance off fine lines and wrinkles as well as to even out skin tone: Vitamin E, Hyaluronic Acid and Retinol. The masks come in a box of five and each individual mask comes packaged in a sleek white and gold sachet. The sachets are then packaged in a box with the same design as the sachet. I would have taken a photo of the box, but the postman really dented mine as it was squished through the letterbox! Thanks, postman! To use, begin by cleansing and toning the skin. The mask itself comes in two parts; one half for the bottom and one for the top. Remove the two parts from the sachet and remove the plastic backings. It is recommended that you place the bottom half first, so begin with that half and then place the top half next. Once it's snuggly on your face, kick back for about 25-30 minutes whilst it works its magic. When the time is up, remove the mask and gently pat the skin to help the remaining essence absorb into the skin. It is then recommended that you can then squeeze out the rest of the product from the sachet to use on your neck and hands if you want to boost the benefits. As it's highly moisturising, there isn't any need to apply another moisturiser after use. You can, however, if you wish. 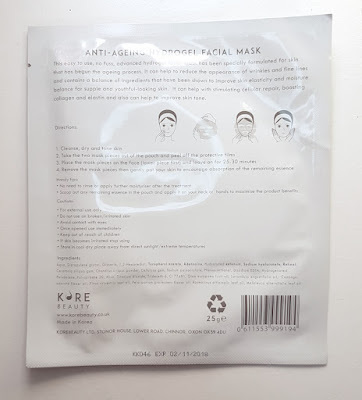 The mask is easy to use, albeit a little fiddly at first like all other sheet masks are (the taking them out of the sachet, unfolding, working out what's what whilst trying not to drop it, etc), so this isn't an issue that's specific to this. In regards to fit, I found that it fit my face well. There was just one small part next to my nose that was mask-free, but a little readjusting half way through meant that it could have some time under the mask as well. It stays on the face well during use. It slips sliiiightly, but it's easy to pull it back into place. It definitely slips far less than regular cotton sheet masks! 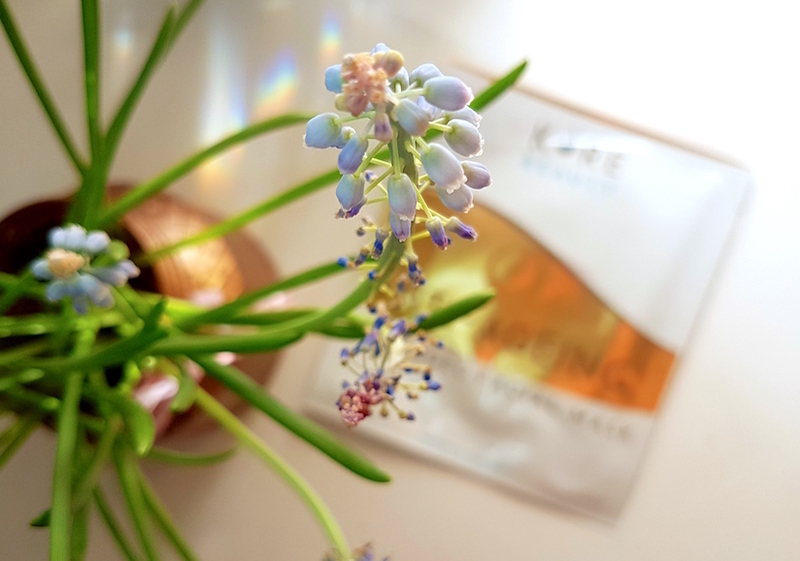 There is a lot of the liquid product left inside the sachet at the end, so you have more than enough to use to top it up after your mask is finished for the maximum benefits. After use, my skin was left looking super smooth and glowing. A happy glow, the right kind of glow. It looked hydrated and healthy, firmer. My skin tone looked more even, it was all going well. The next morning was when the results really showed their worth. All red marks were decreased dramatically, my skin still looked hydrated and glowing. It's safe to say that I was highly impressed! It is suggested that you use the masks weekly, and even after the first use you still see the results for days after. If you have a big event coming up though, using one of these masks beforehand will give your skin a beautiful glow. This mask is not only great for anti-ageing, but thanks to the retinol it would be great for blemish prone skin too. If you're a long time reader of the blog, you may remember some of my first posts that spoke about my love of retinol. If not, then now you are aware that I love retinol. Retinol is like magic for my skin, and if you haven't tried it on your own then I highly recommend trying out some retinol products, this mask included. However, because of the retinol, if you do choose to use this mask before heading outdoors, please do remember to wear sunscreen as retinol can increase the risk of sun damage! Another fab thing about this mask is that it is suitable for all skin types. It's also a great mask for travelling as it doesn't need rinsing after use, instead the excess just needs to be massaged into the skin. Do I like this mask? No. I love it. This is likely to be one of the best face masks I have ever tried. There are some products that I rave about a lot, and this mask has now joined the ranks. I can't recommend it more highly than that. 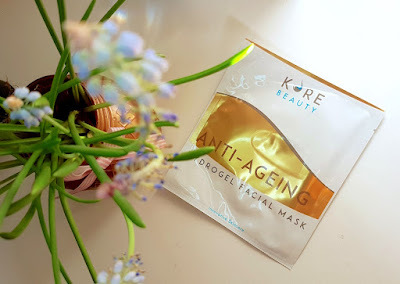 You can get your hands on a box of Korebeauty Anti-Ageing Hydrogel Facial Masks from Korebeauty. As an extra treat, TK has kindly given me a voucher code for you all to use! Use the code zoew25 at checkout for a fantastic 25% off! What are your thoughts on the Korebeauty Anti-Ageing Hydrogel Facial Mask? What is your favourite sheet mask?